With television and radio advertising, Google organic and paid search, endless social networks, product placement and billboards, the marketing world is very competitive. It also gives us so many opportunities to get in front of potential customers. Often brands will come up with their unique marketing campaigns – some will succeed and some will fail. Online marketing and SEO is just as competitive as offline. Your competitors have a huge say in where you rank in search engines as well as how many customers you bring in each month. Yet, some companies and marketers alike often neglect what their competition is up to. Whether they’re ranking above you or simply getting more exposure in newspapers, there is a lot that can be learned from your competitions to benefit your own company or client’s business. You will already know who some of your competitors are, or at least in your mind who you think they are, but in online marketing your competitors are really those who are ranking above you for the ‘money keywords’ in your industry (those keywords that attract converting traffic from search). There’s the odd exception – a website who gets more brand searches than you and haven’t bothered to try ranking for key terms - but generally you want to be focusing on those you’re competing with in the search engines. Do you have more monthly searches for your brand name than your competitors? Put yours and your competitors’ brand names into Google’s Keyword Planner to see how you measure up. It’s also worth checking out your Google rankings for industry keywords in comparison to your competitors. Your competitors are those who rank around you for industry keywords. If you can afford a keyword tracking tool to add your own domain and your competitors’ to track over time, that is ideal. But we understand if you couldn’t afford to do this. It’s still worth keeping a spreadsheet up-to-date every week, fortnight, or at least once a month to see how their rankings are changing from the campaigns they are carrying out and the links and exposure they’re getting. Prices start from £29.99 per month for this tool that allows you to see every website your competitor has inherited a link from. Very useful for historic and recent newspaper mentions to help you see the campaigns they used to get some valuable exposure. As well as newspapers you may want to look at magazines, big websites and blogs they’re mentioned on, as well as the tactics they’re using to get in each of these places. Majestic is also very useful to work out which keywords your competitors may have been aggressively targeting to rank in search engines. 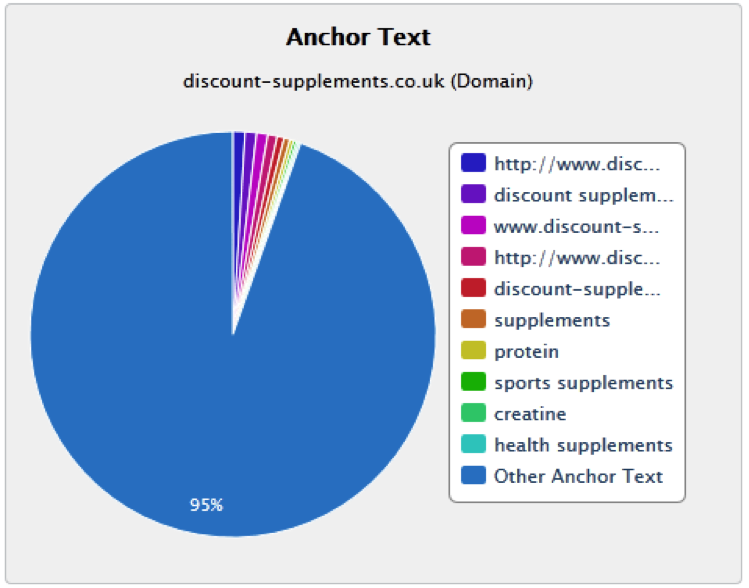 Provided Discount Supplements are ranking well for these two search terms, as their competitor, I can look further in-depth as to where they are getting these anchor text links from, to go about replicating them. This is another useful tool to get keyword data from, as well as working out who my competitors are both organically and in paid search. Packages start from €69.95. Using it, you can grab a list of all the keywords your competitors are ranking on the top two pages of Google. This could be useful for finding out any additional keywords you could, or may be wishing to focus on. This nifty little tool from Google allows you to receive free updates on your competitors’ marketing activity. Head to https://www.google.com/alerts (you’ll need to be logged into your Google account). As well as getting alerts for their brand name, you can also choose to receive updates for your money keywords. This will allow you to keep up-to-date with news in your industry as well as the marketing campaigns that are going on. If you follow (or ‘Like’) your competitors’ social media accounts – Twitter, Facebook, Instagram etc. this will allow you to keep an eye on what they’re doing. You’ll be able to see first-hand what is a success for them in terms of the number of Likes, Shares, ReTweets, Favourites etc. etc. that each of their posts receive. With this useful data you may be able to work out what campaigns work well, what times of the year to run these campaigns, which time of the day/week etc. to post. Likewise, you should consider signing up to your competitors’ email marketing campaigns. Once you start receiving their emails/newsletters you will be able to see the promotions they are running. With this data it may help you shape which time of day and day(s) of the week you start carrying out your own email campaigns (though I do recommend testing lots of different days and times to work out the optimum for you). Simply by keeping an eye on your competitors’ websites can help you learn about their marketing campaigns. They could be adding new functionality from time to time, or offering promotions on certain products at certain times of year. Maybe you will spot some weaknesses about their website or products that could use to benefit your own business. Why Are My Competitors Ranking Higher Than Me? A combination of backlinks, on-page SEO and some educated guesses (or ‘finely-honed market awareness’) are required to answer this. If you’re suffering from a lack of quality links for certain keywords, to certain pages or to your website as a whole, that’s an easy fix. Or at least it’s easy to know how to fix it. Also analyse the on-page SEO activity on your pages. Look at the similarities for the top 10 results in Google – you can narrow this down further if you like. 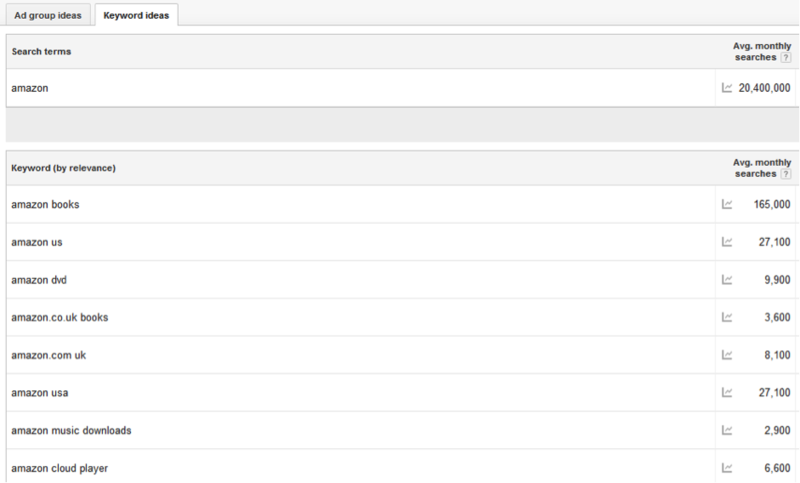 Take a look at the keywords in the title, the amount of content on the page, the heading tags etc. to help work out if your page needs any improvements. Other SEO factors could be the page’s loading time, the quality of the content, or number of internal links. What Effect Did Last Month's Work Have? Monitoring the results of your work each month is important. If you are using a ranking checker tool to keep an eye on the keywords you specified, that is great. Also make use of annotation space available on Google Analytics to make notes of changes that you (or your competitors) make over time so that if you see changes in traffic, you may be able to see the reasons as well. SEMRush will only give you keywords that you are ranking on the top two pages for – whilst rank checkers will check the keywords you specify, even if you’re ranking outside of the top two pages, or not at all to begin with. An upwards progression over time is important to know your efforts are having a positive effect. If you’re keeping an eye on your competitors’ campaigns, being able to track their progression is also useful. With Google Analytics and Search Console (formerly known as Webmaster Tools), you will have additional useful information for your efforts. Analytics can show you the referral visitors that go to your website (for example, how many visitors were referred from a particular source) and your most popular landing pages. Search Console can give you data for keywords you’re ranking for, the average position over the set time period, impressions and click-through rate. The latter is very useful if you’ve been testing out new page titles and descriptions. Google only releases the past three months worth of data however, so it’s worth exporting from time to time so that you can keep a historical record. What Coverage Should I Look To Get? You’ll have a good idea yourself which newspapers and magazines will offer you great coverage and brand building. On top of that, referral traffic in Analytics will show you which sites are sending you the most traffic and conversions – keeping an eye on these to know where you want to go repeatedly is useful. This kind of work really becomes easier with a bit of experience. A lot of this is trial and error – especially if you’re a new starter with no previous exposure. If you’re keeping a close check on your competitors’ rankings, you may spot sudden jumps or movements in the top positions. If any of these correlate with links they have got in certain publications – you’ll certainly be keen to replicate these links. Who Are The Authorities In My Industry? In the online world, there are a couple of useful tools to work out authoritative websites and figures that you may want to get exposure from. Going back to the previously mentioned Majestic tool – their link metrics are very handy. They have Citation and Trust Flow scores for each website. Citation represents the quantity of links coming back, whilst Trust represents a level of quality. They also have a ‘Topical Trust Flow’ score to show you the types of links they are getting. So don’t be fooled by the domain name – it’s possible they have a suspect backlink profile, making it one to avoid. What Content Are You Lacking? Create It! Majestic not only shows you all of the backlinks that are incoming to any given domain, but to the pages they are pointing to. This is useful for working out what are the most popular areas of their website and/or which they have focused the most on promoting. Another tool you may want to use, for how well the articles have done on social networks is Buzzsumo. Have they had something go viral? What are their most popular blog posts? Which is their most popular product? All of this can be of great benefit when you’re planning your marketing campaigns. The aim for your business should be to get the higher quality exposure, or high quality backlinks if you prefer – those that are in the eyes of tens of thousands of people that will help get your brand memorised and later searched for directly in Google. As an online marketer, I can tell you it can be both fun and rewarding to creating something that gets big exposure for your clients. For some of our campaigns, we’ve played with Lego, travelled abroad to review holiday destinations and been to interesting conferences up and down the country. 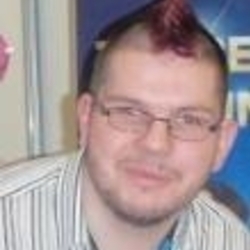 Barrie has over 8 years of experience in the digital marketing industry and has run successful campaigns in a variety of sectors, including travel, fashion, finance, gambling and car insurance. He has worked at Receptional since 2004. You can follow him on Google+ and Twitter.